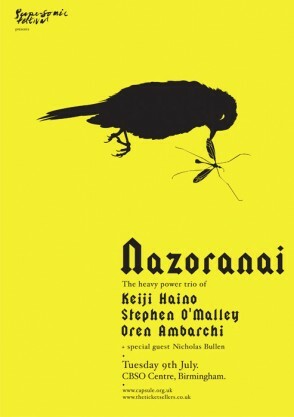 Haino leads the power trio Nazoranai, forging heavy psych and noise with Stephen O’Malley of Sunn0))) and Oren Ambarchi. Haino is a master at pushing the possibilities of the guitar/bass/drums format. 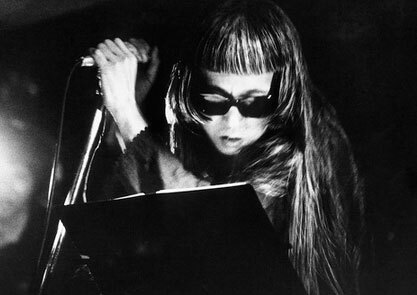 If you’ve not witnessed Haino live before, we thoroughly recommend you surrender yourself over. They play the CBSO Centre next Tuesday 9th July. The last time Haino played Birmingham was Supersonic Festival 2008 with Merzbow, where the two artists almost seemed in battle on stage! Tickets for this event are £15 in advance from www.theticketsellers.co.uk. Nicholas Bullen will also perform, launching his new ‘Component Fixations’ record.